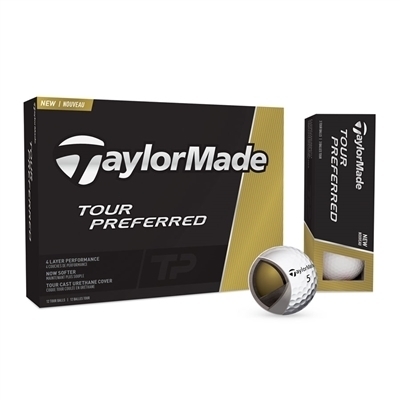 TaylorMade TP Golf Balls came from their close connection with Tour professionals and is based on respect and trust. They respect their input, and they trust our ability to use it to create the best performing clubs and balls for players of their caliber. That gave rise to the Tour Preferred line of products, long revered by the finest players in the world for striking the ultimate balance of look, feel, sound and performance. Our Tour Preferred line of golf balls includes the Tour Preferred and the Tour Preferred X. The Tour Preferred and Tour Preferred X models are engineered with similar performance off the tee and around the green. The Tour Preferred model is for players seeking more spin on iron shots.